Darjeeling was a last minute decision I’m happy I made. 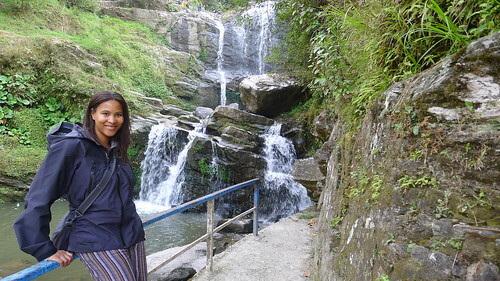 I didn’t know much about the region other than it was in the mountains and famous for its tea. I was pleasantly surprised on my visit as it was very different from the rest of the places I’d been in India. The land is green and mountainous. 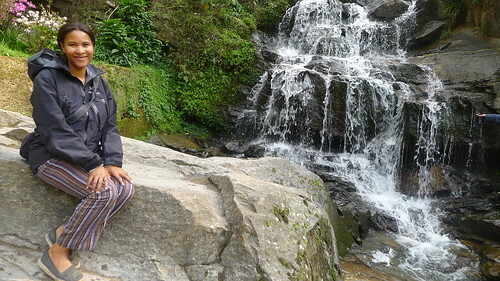 The people are of Nepali and Tibetan descent. The food has more Chinese and Tibetan influence. The sights are more about nature and less about forts and palaces. To get to Darjeeling, I flew from Delhi to Bagdogra, then took a 3 hour cab ride up very narrow switchbacks through the mountains. My driver was amazing as he navigated the traffic, through the pouring rain, even when the windshield wiper stopped working. 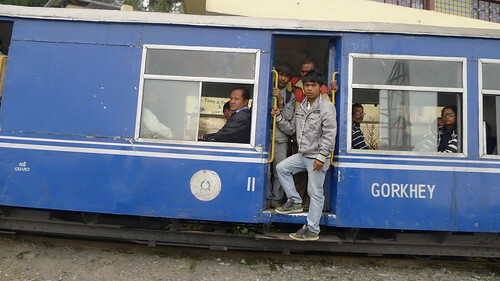 Halfway up the mountain I encountered the Darjeeling Toy Train also making its way up to Darjeeling from Ghum. If visiting Darjeeling I highly recommend the Hotel Dekeling. 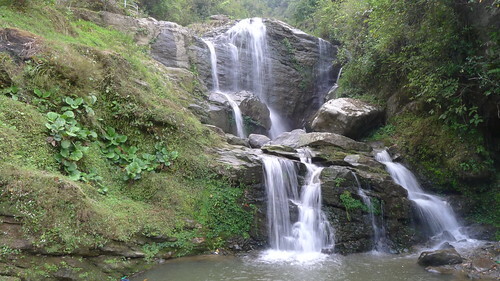 It has great views of the town and the mountains and the staff was super helpful in organizing my activities and recommending places to go in Darjeeling. On my first day I mostly walked around to get my bearings and the lay of the land. I was lucky to get a spectacular view of Kanchenchunga my first morning there. It’s the third highest mountain in the world and I was told it had been covered by clouds the last few weeks so my timing was very fortunate. 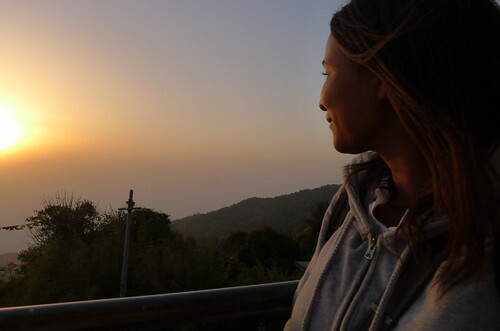 Day 2 was more action packed as I woke up at 345AM to view the sun rising over the Himalayas on Tiger Hill. After heading back to the hotel for breakfast and a nap I did some shopping in Darjeeling visiting almost every shop between the Hotel Dekeling and the Mall Road at the top of the hill. There were several cool shops selling Tibetan and Nepali handicrafts and I scored some unique pieces of jewelry for very cheap. 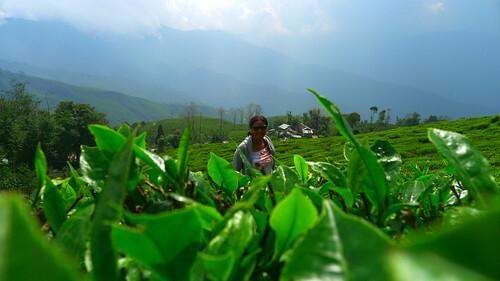 The next day I spent outdoors visiting the Happy Valley Tea plantation. 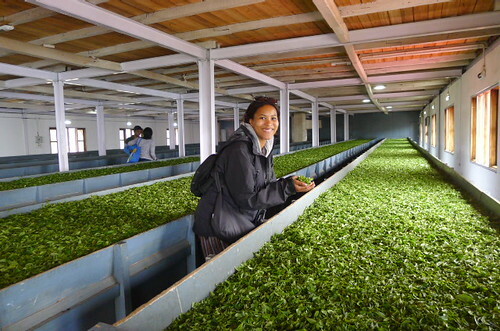 The tour included an overview of the tea making process and a walk through the tea plantation and of course sampling the tea. 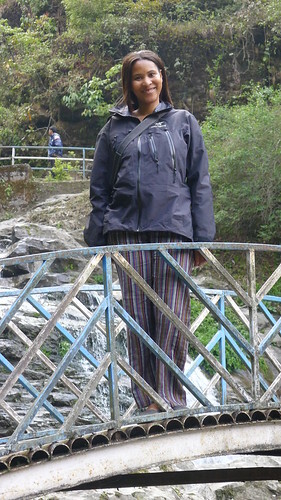 After visiting the tea plantation I paid a visit to the Rock Garden and Channu Summer Falls, which is accessible via a very dodgy road with switchbacks with stunning views of Darjeeling and it’s tea plantations. Lots of tourists and locals were there to climb and take pictures of the various levels of flowing water. 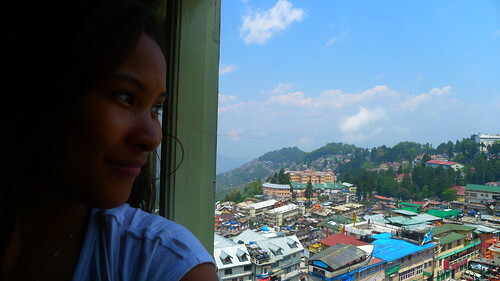 My stay in Darjeeling was 3 full days total and I feel I only scratched the surface here. I would definitely consider returning on another visit to India as its an ideal place to relax and enjoy the wonderful mountain views and cooler temperatures.